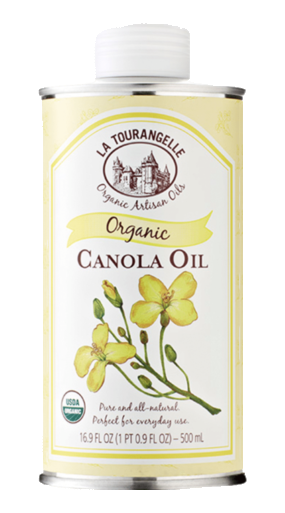 There are a lot of expeller-pressed canola oils hitting the market, but only one, La Tourangelle, gets my four-diamond Choicestuff™ nod, because it is so above and beyond its competitors. Their other oils, several of which earn a rare five-diamond nod for their uniqueness as well as their quality, are the top of all of their oil types as well. First, a quick word for those who don’t know shinola about Canola, other than they’ve been using it for years because it’s what mom and grandma bought: Read my article on canola to find out what grandma didn’t know about the volume oil produced oil that she’d been cooking with for 30+ years, and try to change some habits to improve your own family’s health and well being. 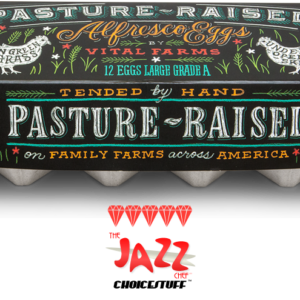 The best way you can do that is to buy a great artisan oil that’s expeller-pressed. I can think of no better in that category than the organic canola of La Tourangelle. They label it a high temp oil, and they can probably show me a lab sample that will verify that. Still, Avocado is a much higher temp oil, over 271°C/520°F and Canola starts to lose its lustrous rich nuttiness and develop a very ugly smell in your food if it crosses the 93°C/200°F line for too long. Canola can be used for sauteéing at medium temp for a short time, for mayonnaise, salads, etc., but I strongly discourage using it for either extended periods sauteéing, or to fry anything (Avocado and Rice Bran oil both are higher temp and maintain their nutrition). 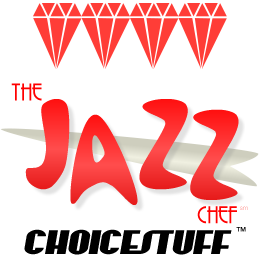 The best and freshest oil is going to make everything that you prepare with it sing. Fats are the biggest happy that our brain craves, so use the best you can get, in moderation. So not only is La Tourangelle‘s canola oil organic, but it’s also the top of the heap. 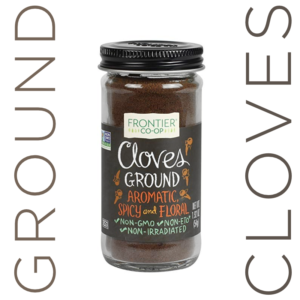 The seeds are small batch picked, roasted, and then ground once in their century-plus tradition of simple pressure grinding to extract the oil. One of the few artisan producers left, they have facilities in both France and California. 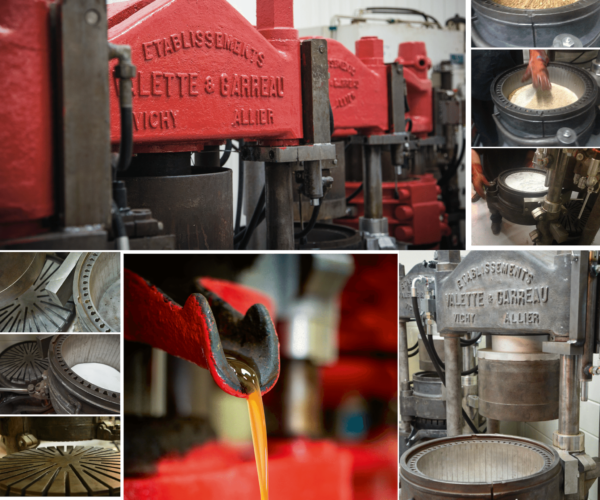 The newer Woodland, California, facility has equipment that recreates the century-plus presses of France, and offers them access to some of the best nuts, fruits and seeds in the world in the Central valley of California. If you worry about price, consider this: Homemade mayo, alone, is a fraction of the price of the white pasty stuff calling itself mayo that sits in your refrigerator. Salad dressings? Why buy the bottle when a little canola, or other stock oil in your pantry, makes nice vinaigrettes and even everyone’s fave, ranch. 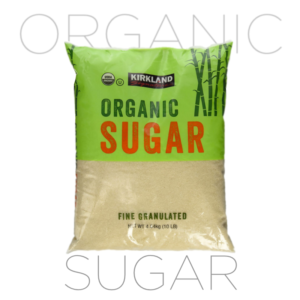 Lose two or three bottles of pre-made, and you save about $12.00, Using smaller quantities, you might spend a bit more for the good stuff per ounce, but what you can do with it in the kitchen, particularly if you make your own, rewards you and your family, and helps you skip the big-batch canolas! There are a lot of expeller-pressed canola oils hitting the market, but only one, La Tourangelle, gets my four-diamond Choicestuff™ nod, because it is so above and beyond its competitors. 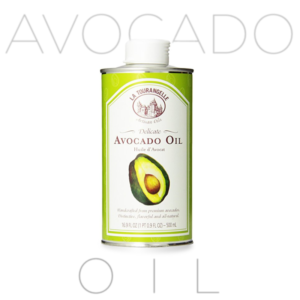 Their other oils, several of which earn a rare five-diamond nod for their uniqueness as well as their quality, are the top of all of their oil types as well. In me, La Tourangelle has a fan of their oil cans!